I love this style of bag! It is so cute. Perfectly timed post; I've been obsessed with this silo recently and looking to get my hands on one! Love your picks! The saddle bag is so big this season and I love your picks! Of course I'm drooling over yours though! such a cute post! love the saddle bag trend going on right now! Loving the saddle bag trend. Your picks are great. Looking beautiful as usual! I love saddles bags! Ihave had my eye on a bunch recently & I think Bag #2 in your picks might be my winner! These are all such cute choices! I love that snake skin one! I love your picks, Rachael! The black one on you is gorgeous! Great picks Rachael! I love saddle bags too, although buckets have completely stolen my heart! My favorite is that white Rebecca Minkoff - so chic! I saw this on Insta and I love love love them all!! My favorite is the Vince Camuto fringe bag - love the blush color!! Great picks! Love these bags! I absolutely adore fringe and tassel bags! Great post. Love all of these picks! The Coach fringe saddle bag is my favorite - so fun! such a fan of crossbody saddle bags!! I love all of them, hard to pick a fav! I'm really loving your killer heels, too! Seriously all of these bags are so amaze! I think I might need one of each haha! I love all these bags! I love them all, but #2 is my absolute fave!! I need to get a saddle bag, I have been seeing them EVERYWHERE! 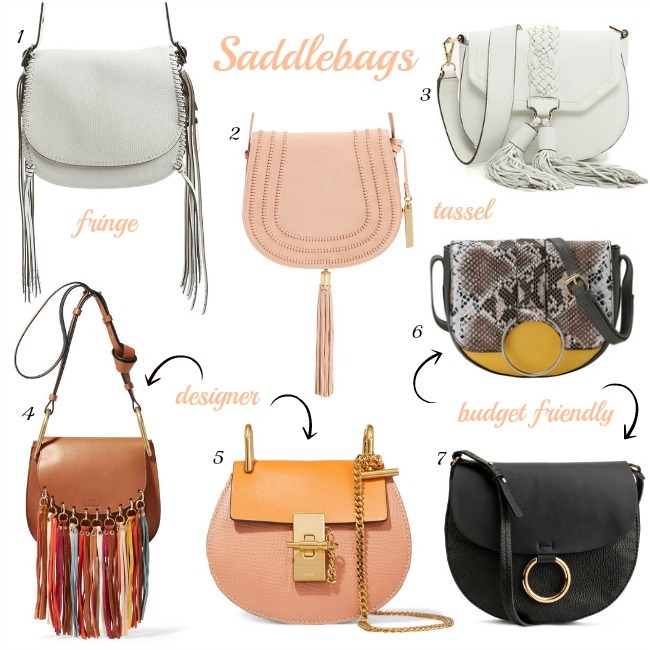 I have saddlebags/crossbody bags on my wishlist. What a fun roundup and you look lovely in yours.